Hay Bro Sis...Aprilia has invited the international press on the Misano circuit to demonstrate the qualities of its new superbike “street legal” now called RSV4 RR, RSV4 ‘Race pack’ RR and RSV4 RF. Aprilia RSV4 RR 2015To return to the many improvements made to the V4, one discovers that the power unit has lost 1.5 kg by using titanium for the sixteen valves and reworking the four crankshafts. The crankshaft is lowered. Besides this, the engine receives numerous changes, especially at the level of admission with larger valve diameters and a new box in air as well as on the side of the exhaust with redesigned tubing. These improvements coupled with an electronic “boosted” by an army of probes, the 999cc V4 develops now 201cv 13 ‘ 000 rpm (switch to 13’500 rpm), which is 16 more than the first generation. Engine designers wanted more power at all rpms, bet won! Side couple, Aprilia announcement 115Nm, nothing extraordinary for a V4 but distributed perfectly in any point of the curve. 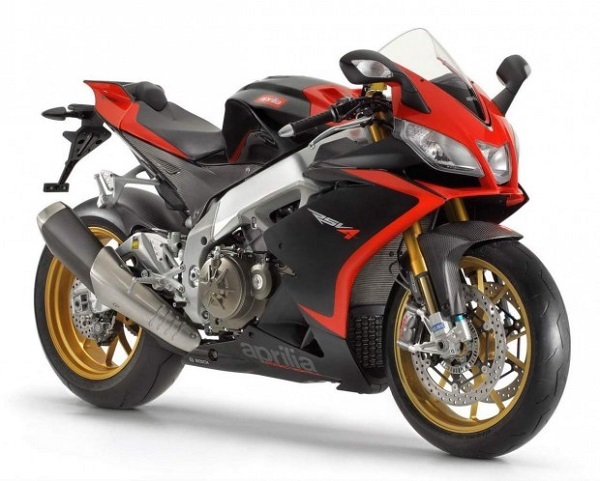 It alleged that the RSV4 to Miss power against its rivals, this time is now past!